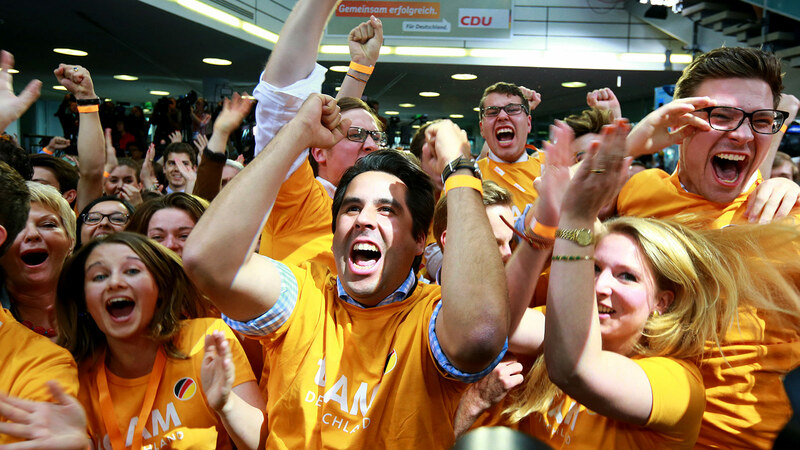 CDU CITY CHALLENGE – From concept to election victory! It was a hot summer. We provided positive energy as well as pleasant refreshment. During the run-up to the Bundestag elections in 2013, we were commissioned by the CDU’s party headquarters to design a campaign to activate voters during the final leg of the election campaign. 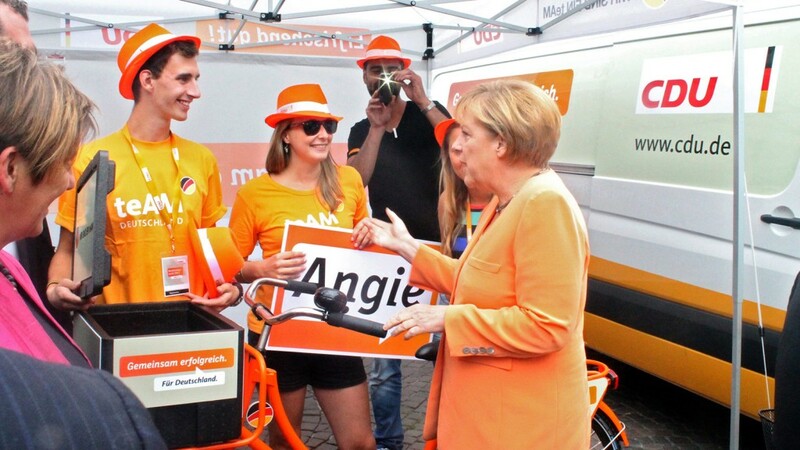 The aim was to announce and support Mrs. Merkel‘s election rallies – this was the kick-off for a “road show” through Germany. The day before an event was used to mobilize voters by targeted canvassing. The promoters trained by us in the run-up to the tour were able to achieve high contact figures by addressing voters effectively, through mobile banner advertising, and with the help of effective sampling. It was a hot summer. We provided positive energy as well as pleasant refreshment. 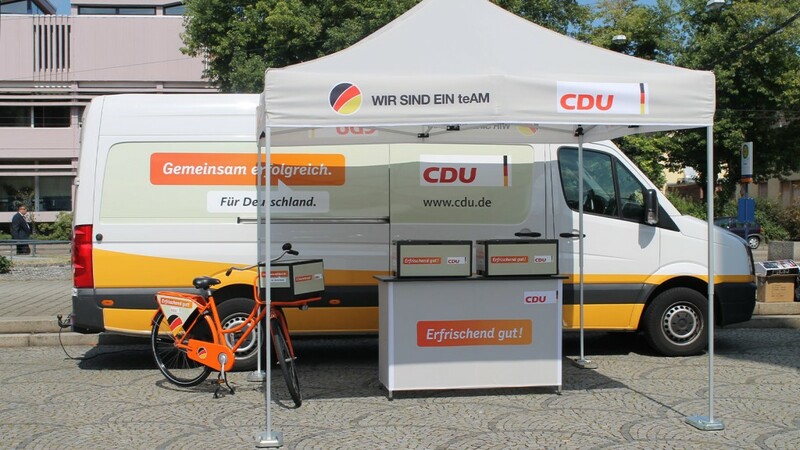 During the run-up to the Bundestag elections in 2013, we were commissioned by the CDU’s party headquarters to design a campaign to activate voters during the final leg of the election campaign. 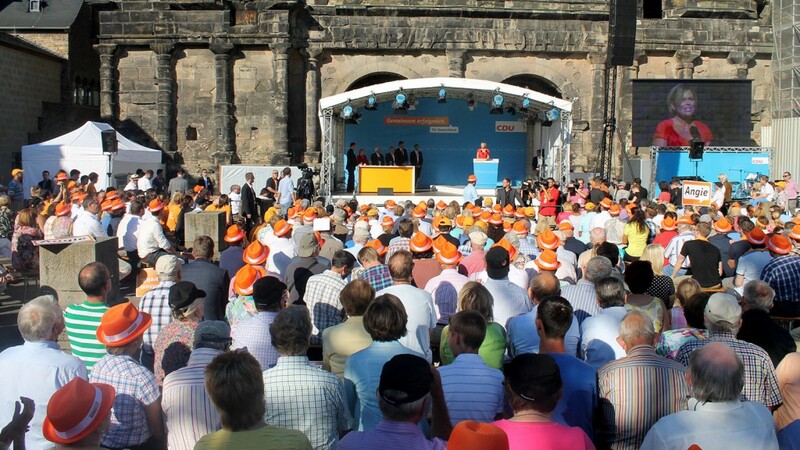 The aim was to announce and support Mrs Merkel‘s election rallies – this was the kick-off for a “road show” through Germany. Two teams of 10 members each travelled to 27 towns throughout Germany. Besides our project managers, the teams also comprised campaign volunteers from “teAM Germany”. On the day of each event, promotional vehicles were parked on the event site and converted into ice-cream vans with a zone for relaxing. Visitors received giveaways such as hats, bandanas, and badges and went away brimming with lasting positive emotions. 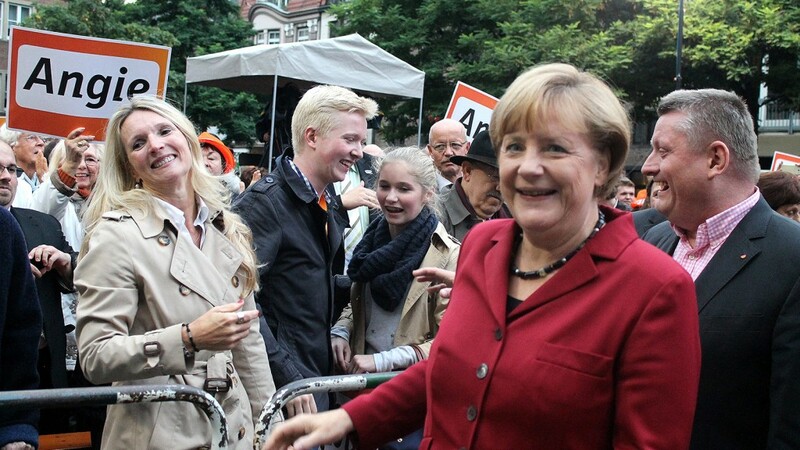 It was the perfect preparation for the Chancellor’s rallies and a boost to the party’s image.